Have you wondered why you didn’t get hired even though you were perfect for the job? 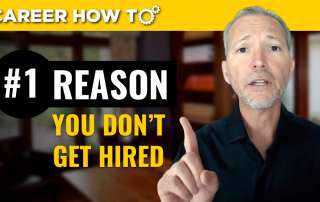 Join career expert, motivator, and award-winning author Andrew LaCivita as he discusses the number 1 reason you did not get hired! Do you feel you continue to make poor career choices? 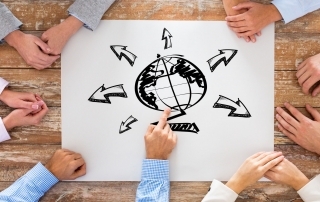 Are you confused why you make awful job-changing decisions? 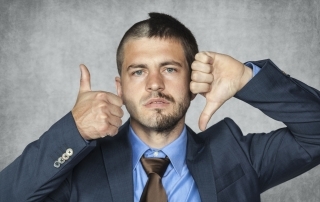 There are obviously many factors that contribute to your decisions and decision-making abilities, but there are essentially 11 reasons you make bad job-changing decisions. To be a truly great partner in any relationship requires effort and a major dose of consciousness. The latter is without question the deciding factor. Whether you’re looking to improve your relationships with your spouse, family, friends, coworkers, boss, business partners or whomever, I’ve discovered there are several universal techniques that—when engaged by both parties—will make it successful and long-lasting. 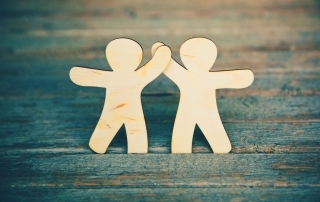 Let's take a peek at how to build the most enjoyable relationships. By someone's clock I just rolled over 50. Age is truly nothing but a number. And, it's not even that really. I breathe no differently than I did ten years ago. My doctor said so and doctors know everything even though mine tells me I now need a colonoscopy. Many of you know I write an original, daily, motivational quote called Today's Line to Live By. I captured a bunch of those Today's Line here and also put that nifty four minute video together. I hope you enjoy these 50 years and 50 lessons in 4 minutes. 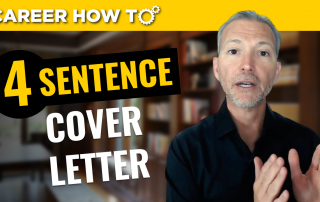 The modern-day cover letter is your introduction—of any kind—to the employer. There are essentially three ways this occurs: Cover Letter, Email (with attached resume), or Applicant Tracking System (ATS). Your “cover letter” has three goals, which can be accomplished in four sentences. Check out the video and grab the download to learn how and see the exact language! We have all looked back on our lives—for however brief a moment—and wondered what if I would have known better at the time? Well, here are the 15 best things you can do for yourself at 22 years old! 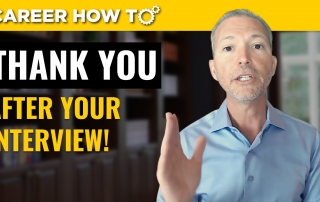 Have you ever had challenges when you go to a job interview and want to write a thank you note to the employer (afterward)? You wondered how and when to thank them. You wondered what to say and what medium to use (handwritten note, email). Any time you’ve made a poor decision, at least one of two things was wrong. You either had a faulty decision-making process or you didn’t have accurate or complete information. Anytime you’re asking questions (in a job interview or questioning someone as it relates to business), you can prepare yourself by first asking three questions: 1) What do I want to know and why is it important to me? 2) How will I ask it? 3) How and when will I use the information? 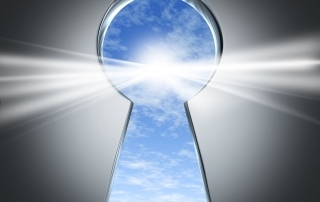 Have you ever wondered how to unlock your true potential? Most people focus on igniting the wrong things. 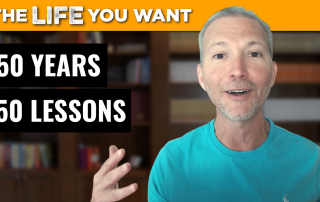 What if you knew how to enhance the three keys—that already exist within you—to reach the level of happiness and success you want? As I paid homage to our veterans on this Memorial Day, I started thinking about all they sacrificed to help ensure our world’s safety. This led to more thinking about our humanity, which led to more thinking. It seems to me no matter your age, we all appear to be part of a worldwide midlife crisis. Everyday, I study the behavior of individuals and companies, and it's a bit head scratching at what we—as a society—have become. Of course, it won’t surprise most; we've collectively dragged each other well below mediocrity in most aspects related to quality, service, and respect. I can't help but think a temporarily cheated destiny won't let us get away scot-free with this sustained behavior.